And one rebellious young man was about to find that out for himself. Jim Ayer lived to get high?and to convince everyone he met that they should get high too. So one fateful day when he was 19, God interrupted his marijuana high with a fantastic view of the battle for his soul. That got his attention . . . for a little while. Needless to say, God didn?t throw in the towel after the first attempt. In the meantime Jim opened an exotic pet store, got married, and had a son. And wouldn?t you know, God invited Himself back into Jim?s life while he was high on marijuana. This time it was now or never, and he chose God wholeheartedly, as did his wife, Janene. Second chances are incredible gifts?Jim would discover that God doesn?t give up, but neither does His adversary. And that which seems impossible can happen. Again and again! ?Is it possible that one person could live so many lives? As Jim?s journey takes many twists and turns, you will discover a God of love and forgiveness, who can grant you the power to overcome the burdens that weigh you down. Today God is using Jim Ayer to touch countless thousands of lives, and I know He can do something spectacular with your life as well.? Jim Ayer is an international speaker whose greatest passion is introducing people to a lifesaving friendship with his best Friend, Jesus Christ. His travels have taken him to more than sixty-five countries. Jim has authored a number of books, including his personal story in Second Chance and Transformation. Jim has written numerous magazine articles with special emphasis on revival. 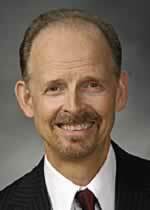 He serves as vice president for Advancement at Adventist World Radio, based at the General Conference. He is also the producer and host of the popular television series Making Waves, which airs on eighteen Christian networks around the world.